STEAM, DIESEL, AND ELECTRIC MOTION - you're in the right place! 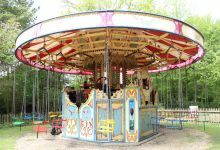 View our exhaustive list of UK events for 2019 and 2020 by month or by region. Follow the links at the bottom of the page. 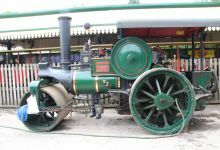 This website lists a collection of places of interest for those of us who love steam, diesel, and electric machines. All listed by region for your convenience. Advertise your event on this website FREE of charge. Just fill in the event form here and we will review your submission and post your event right away. Comments about "Aberystwyth Cliff Railway"
My husband and I wandered around Aberystwyth in the summer of 2018. We tracked our way to the north end of the promenade and bought tickets to travel on the old Victorian Cliff Railway. A very relaxing ride and a great view across the bay towards Aberdyfi and the Llŷn Peninsula. On a clear day you can just see Snowdon in the distance. We didn't go in to the Camera Obscura but definitely will next time. 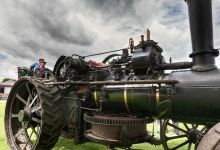 Comments about "Much Marcle Steam Rally"
I have attended this show many times in the past, and always enjoy it.This year I was very impressed with the way the public were invited to to join the "Steamers" on the footplate and steer the the Traction Engines across the field. The ladies and youngsters, in particular, seemed to really enjoy the driving experience. An excellent way to promote interest in "Steam Club" membership. 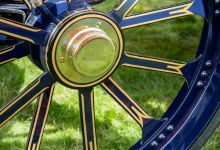 Comments about "Abergavenny Steam, Veteran and Vintage Rally"
This is a great weekend for anyone who likes the openness of a 'market town' style event. Plenty to see and do and all done in a very relaxed but well organised manner. Usually make a longer weekend of it and enjoy a few of the valley walks that are around Abergavenny before the show starts on the Sunday. I was up in Wrexham for a cousins wedding and stayed in Llangollen on the journey home. Decided that the old station on the river looked pretty good fun so decided to buy couple of tickets. I used to travel from South Wales up through Crewe and Chester when I was a student in the 1970s and got all those old memories flooding back when I sat in the old cabin style Pullman coaches. The smell of musty wood and cloth and the toot of the train as we dawdled to our destination. Memory overload -- and such fun. The train passed a couple of station and we got off at the last stop to overlook the aqueduct. I don't usually write reviews but I thoroughly enjoyed the experience and am just waiting for another cousin to tie the knot! Comments about "Vale of Rheidol Railway"
We are a Steam, Diesel and Electric Power Engine Enthusiast's website directory service. Listing hundreds of events, running days and places to go around the UK and throughout the year. Our aim is to present events and information from around the UK in a simple, readable and easily navigable format. We provide a comments section under each event and place of interest for you to read and comment about. We also have a photo gallery where we will be happy to post any photo submissions which pass our content and quality screening process.